Suddenly there was a tall obelisk ahead which meant that we reached the Restauradores square. And there was also Hard Rock Cafe so we had to have a quick peek inside :). 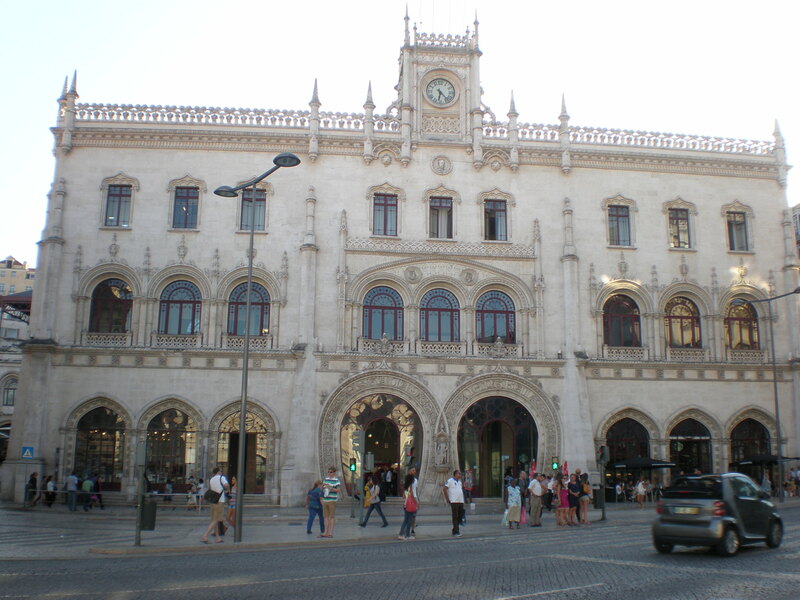 Then we bought our Lisbon card (48h ) in the Tourist Office at the right side of the square. The card gave us free public transport and free access to several museums and attractions that we’d planned to visit in the next two days. I don’t often get this sort of card but this one was worth the cost and we fully took advantage of it. 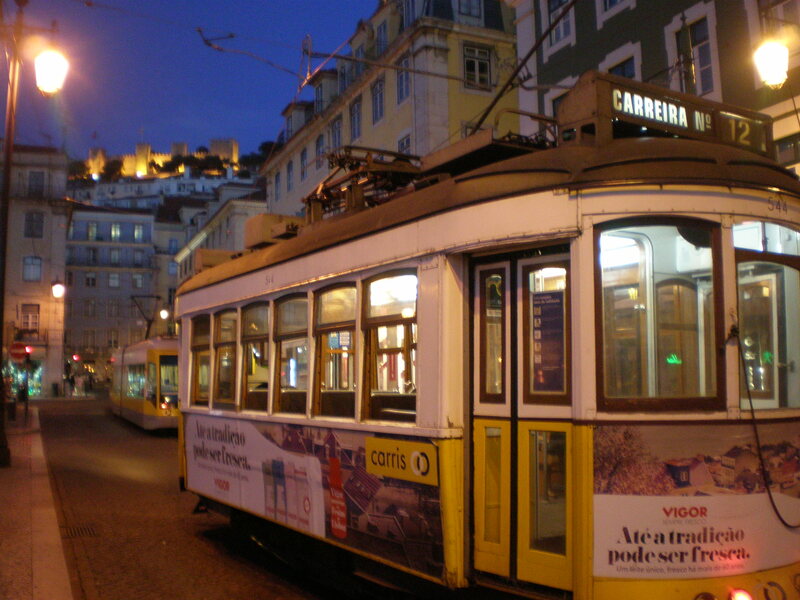 We also saw our first Lisbon tram (funicular actually) at this square. 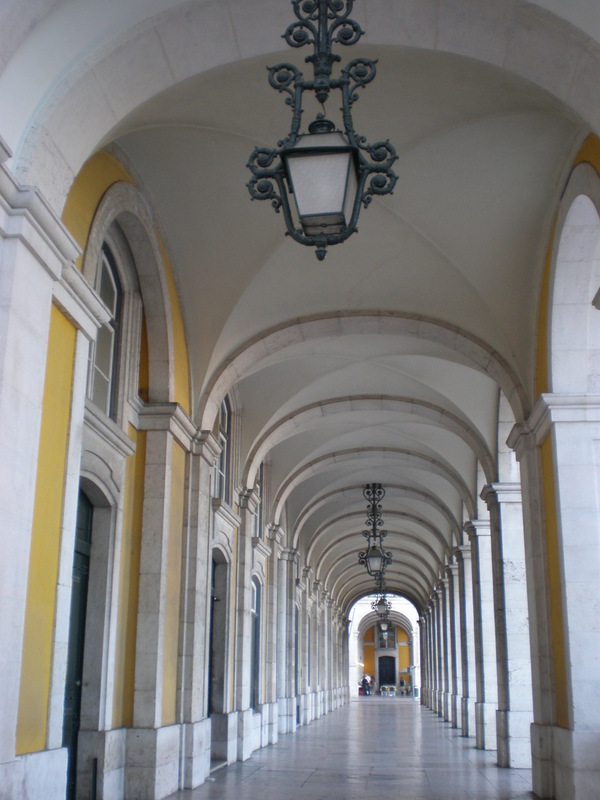 We walked on and came across the Rossio train station with elaborate entrance in the form of a horseshoe. It looks so romantic, and yet it’s just a train station. 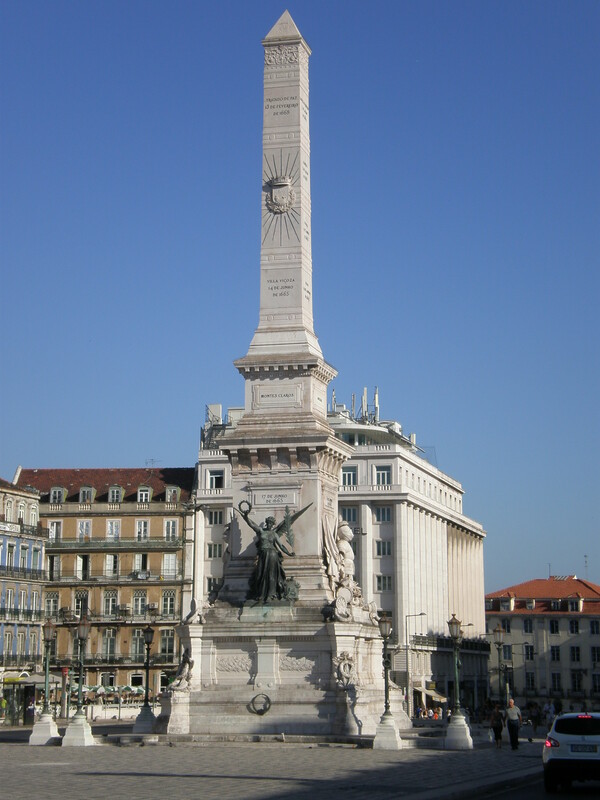 Just straight ahead is the main square Rossio which is formally called Praça Dom Pedro IV. 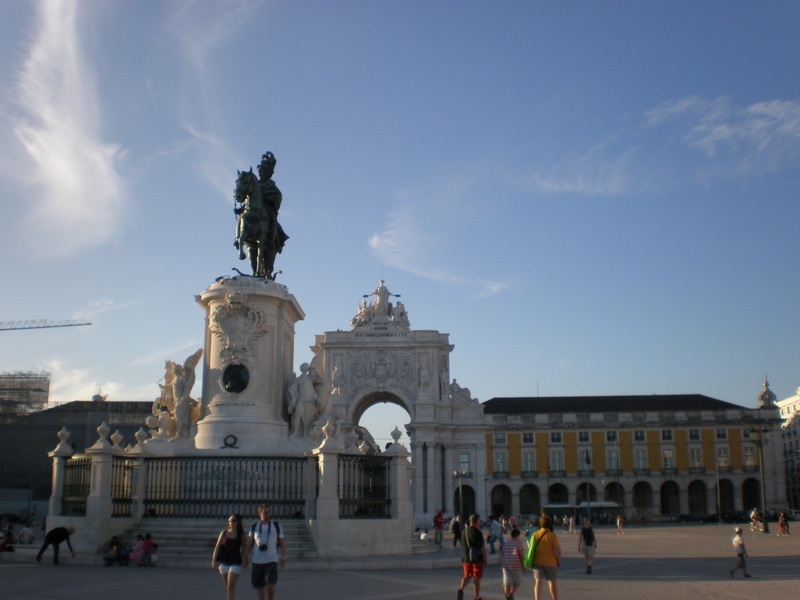 It’s quite an elegant square with two fountains and a bronze statue of Dom Pedro IV who was the first emperor of the independent Brazil. There’s also the National Theatre. I have a thing for old-fashioned iron wrought street lamps and there was an abundance of them in Lisbon. 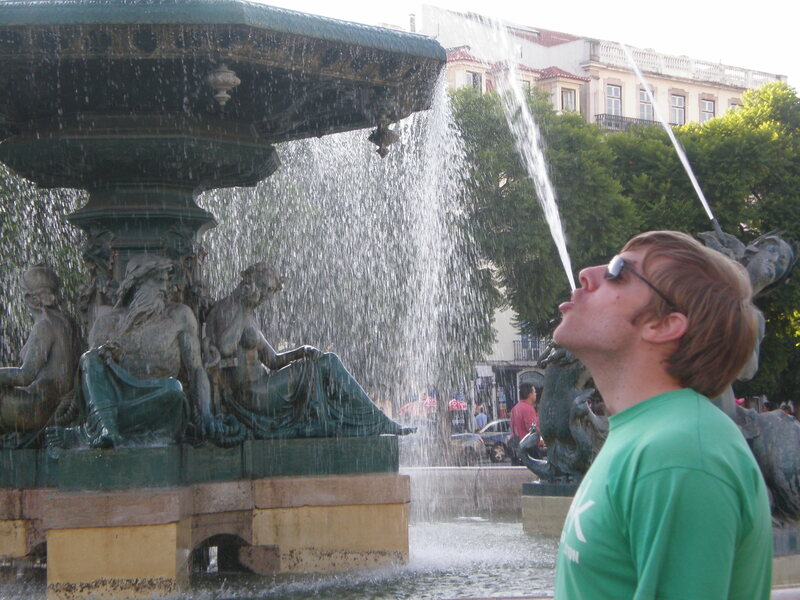 My husband wanted me to take a picture of him with the fountain so that it looks like he’s drinking the water. Needless to say I failed at that. 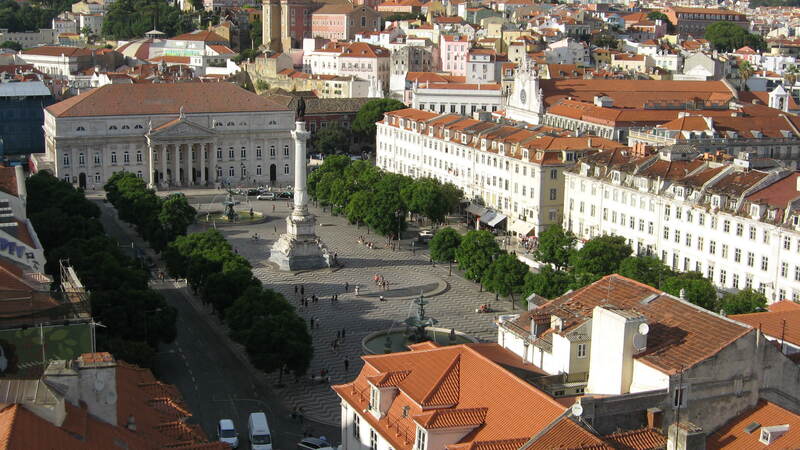 You can see the ruins of the Igreja church above the square as well as the castle of São Jorge when you cross the square. 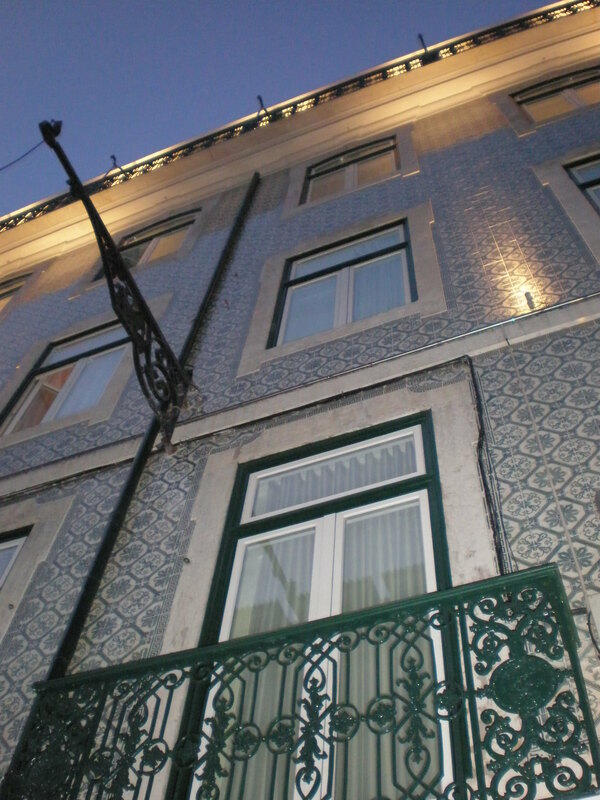 We browsed the menus of the restaurants in the main street Rua Augusta and bought a pair of tiles with Lisbon motifs. Those tiles now decorate the wall in my kitchen. I didn’t think that you could bargain for souvenirs here like you can in Turkey but we saw it so we also tried it. Why not? 🙂 I don’t surf but those of you who do might find it interesting to see surfboards on a building. It was some sort of design museum if I recall it correctly but I didn’t like the image of surfboards so close to the triumphal Arch which is in a way the entrance to the magnificent Praça do Comércio square ( or Terreiro do Paço). What is it with Portuguese and their double names for almost all squares? This square was once a site of the royal palace but then the earthquake destroyed it all. 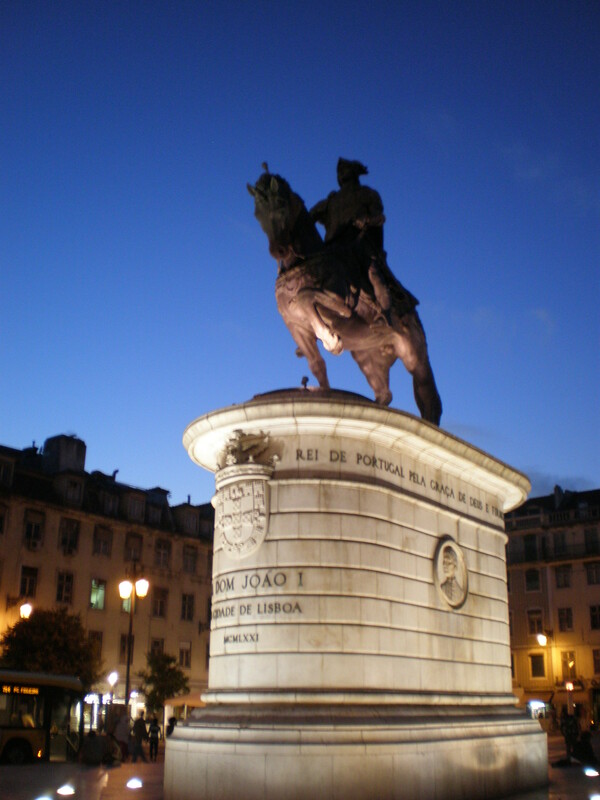 However, the already mentioned illustrious gentleman Marquês de Pombal rebuilt the palace too. It occupied arcaded buildings that extend around the three sides of the square. Today those buildings house government offices and restaurants and cafes. We first saw the Tagus river here at this Comércio square. It’s vast and it looks like an ocean. And there’s the lovely red bridge whose design was inspired by the more famous Golden Gate Bridge, San Francisco. Across the river is another famous twin; the statue Cristo Rei was modelled on Cristo Redentor statue of Jesus Christ in Rio de Janeiro, Brasil. A lot of people were sitting near the river and talking, kissing and playing the guitar. It was already evening and I indulged in a fantasy of imagining how this square would have looked like to visitors who had come here by boat. It’s impressive today but then…it must have been spectacular. 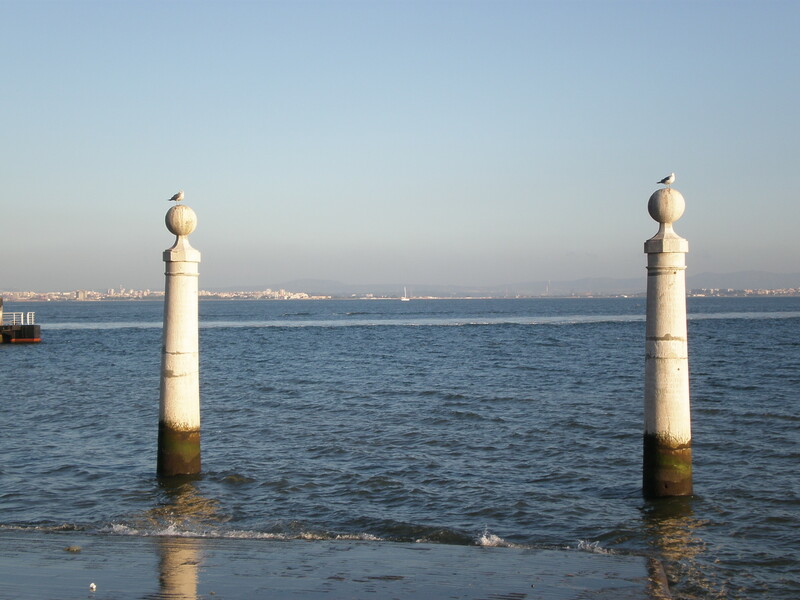 Portugal got rich because of its seafarers and explorers who brought back the riches of newly found lands. 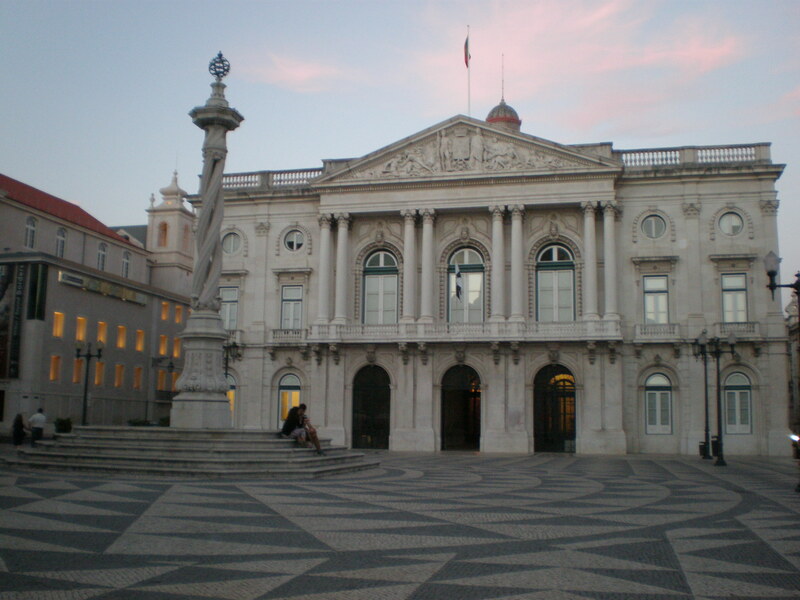 And this opulence is visible in Lisbon’s grandiose architecture. 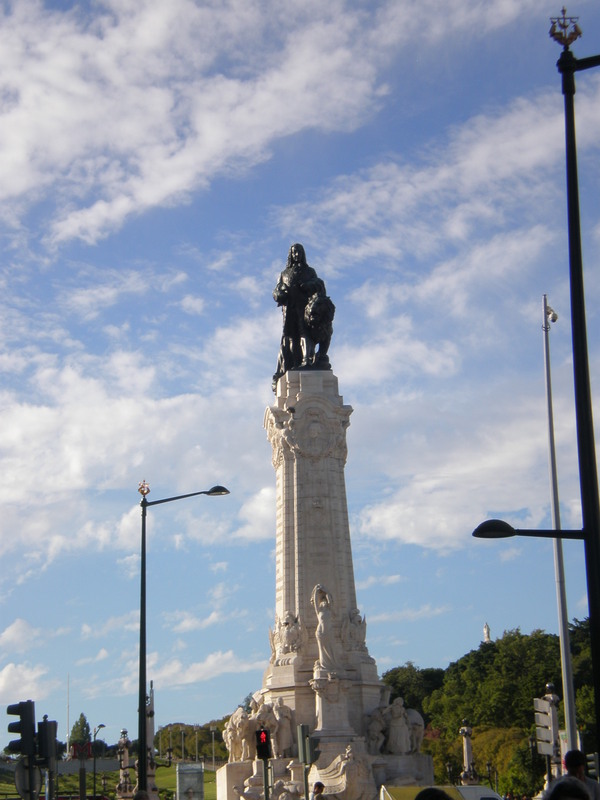 In a way, I believe that Lisbon feels too big to be just the capital of Portugal and that it misses the old times when it was the capital of a larger empire. We strolled by the river for a while and then headed back to our hotel. While we were walking a guy passed by us and whispered do you want some hashish. I was so shocked! It was around 7.30 pm, in the center, not in some dark dodgy street and we were just asked if we wanted to buy some drugs. Unfortunately this happened almost every evening! I don’t know why that happened but that made me feel a bit unsafe when walking around in the evening. There was no other reason to feel unsafe apart from that. Anyway I didn’t let that ruin our first day in Lisbon. On the way back to the main square Rossio we also saw the Town Hall, a lot of beautiful buildings with tiles, a British bar and a souvenir shop with cans of sardines and lots of trams. There were also a lot of bridal shops around the city but maybe I noticed them because I recently got married 🙂 We also ticked off another square from my list and that was Praça da Figueira. It’s not as nice as the other squares but it’s the place where you can get the tram number 12 which takes you to the castle Sao Jorge. There’s also one of the oldest pattisseries in Lisbon. The Portuguese obviously like the sweet stuff a lot because there’s a lot of cake shops around. 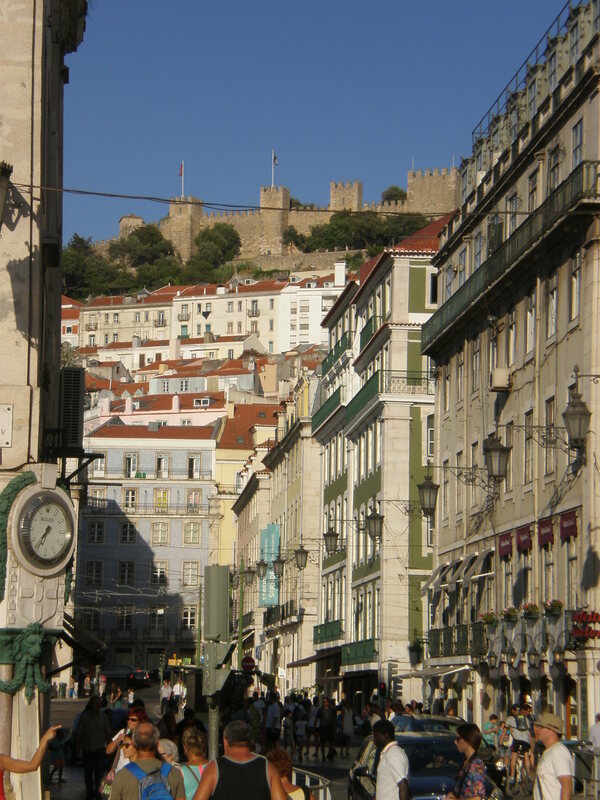 What do you think of Lisbon? p.s. stay tuned for more Lisbon posts! 🙂 I’ll be writing about Belém, about the castle, the day trips to Sintra and Évora and about many more things! I’ve been to Porto & loved it but never yet to Lisbon & am so keen to go to esp also to see the castle in Sintra & taste delicious custard tarts in Belem – looking forward to reading the rest of your posts on it! My friend grew up in Lisbon and speaks very highly of it. I’d love to visit! Great post about our favorite city! Wonderful post. I enjoyed every photo in Your post. Thank You. It’s gorgeous, I need to write more posts, this was just the first day. 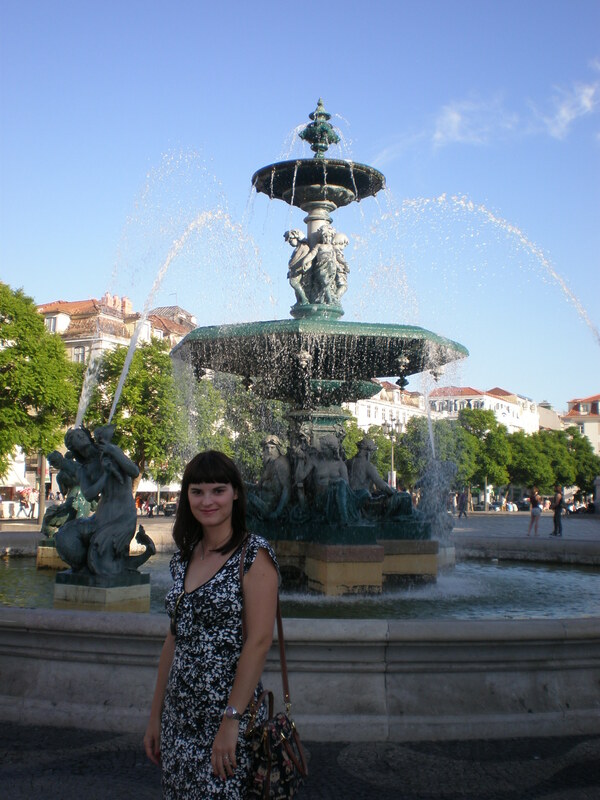 WE did lots of fun things in Lisbon&around! 🙂 I love the beach but he.. 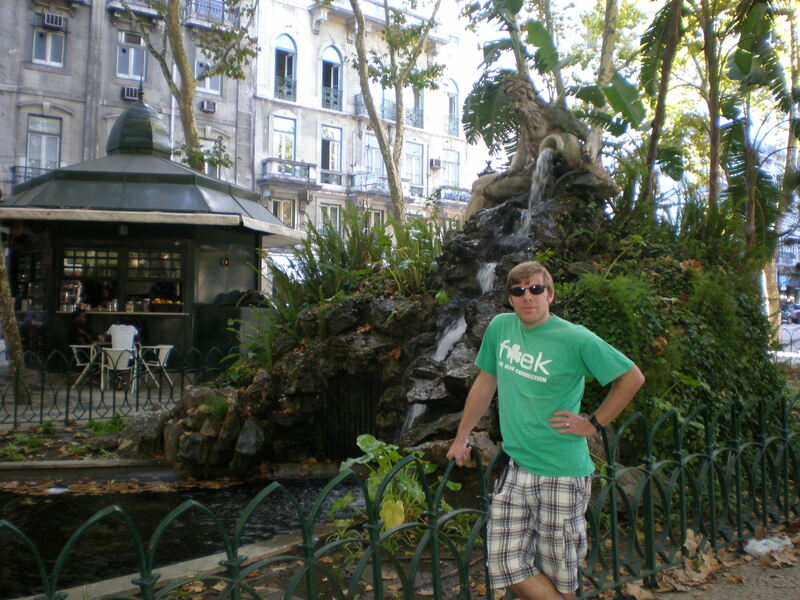 I love Lisbon! It totally makes me nostalgic for San Francisco in the US (where we lived before moving to Dublin, Ireland). Thanks for sharing some #wkendtravelinspiration. I have always been fascinated with Portugal. My friend kept telling me about a certain place called Funchal in Portugal. 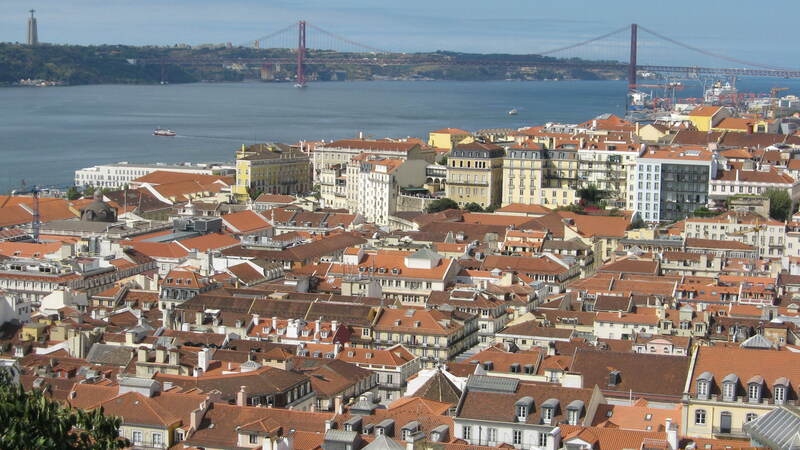 But by the looks of it, Lisbon is equally amazing. Thanks for sharing your experiences. I wish I can visit Portugal someday too. Greetings from #weekendwanderlust. This is a beautiful post. I haven’t been to Portugal yet but plan on going next year 🙂 Thanks for the advice and impressions, and I am glad to see you enjoyed your honeymoon! Lisbon is a gorgeous city. I love the colors and the architecture. Stunning! 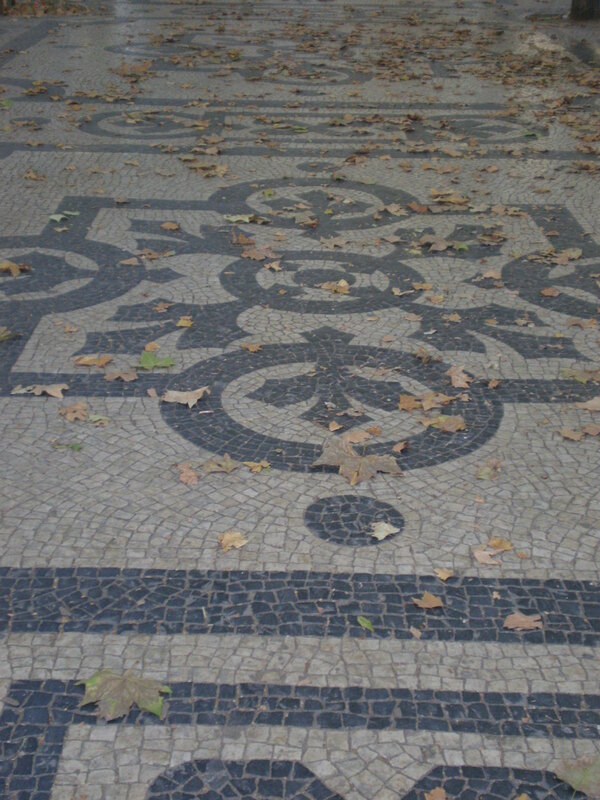 I would much rather wander the squares of Lisbon that lie on a beach sun baking. So good call, and the photos back that up. WE had a great time in Lisbon, and did lots of things! I haven’t visited Lisbon but I’d love too! Like you I always choose “active” holidays than lying on the beach, but then again, living in Greece makes it easy for me to go to the beach frequently!